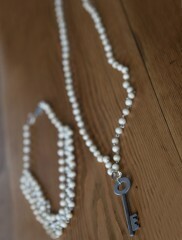 This is 2 necklaces that go together. 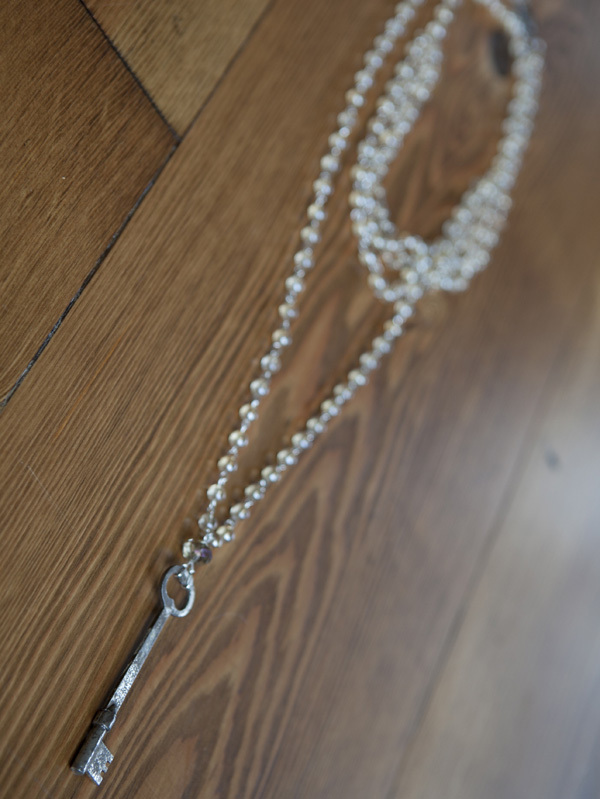 The shorter strands are 18″ (with option in back to wear 17″). 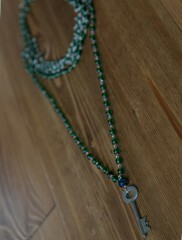 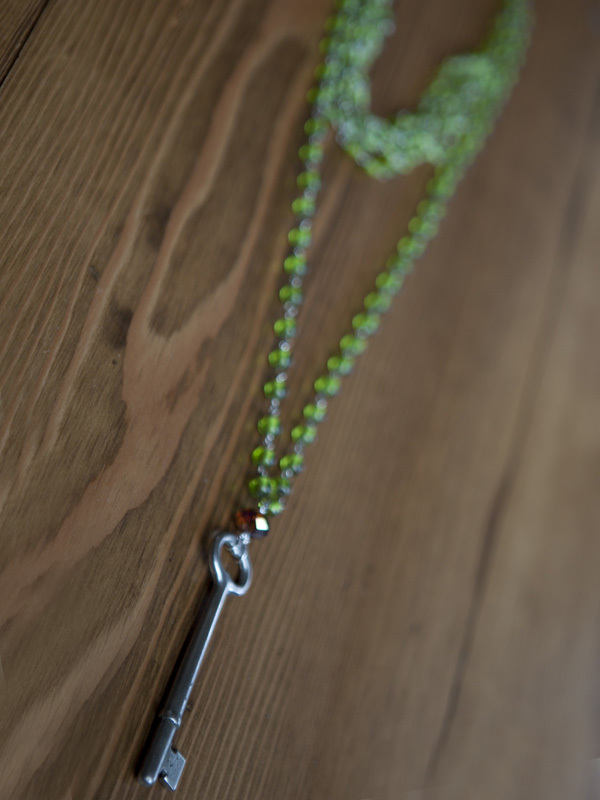 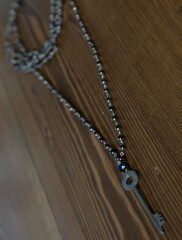 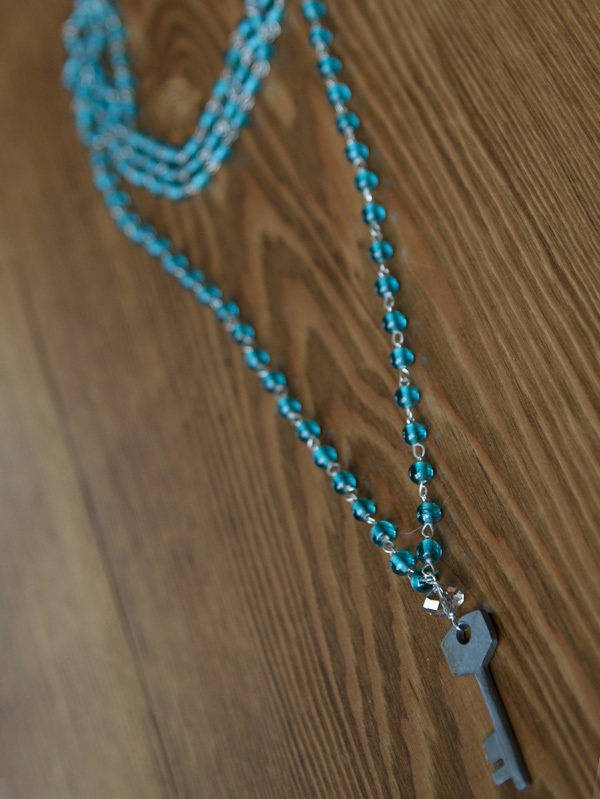 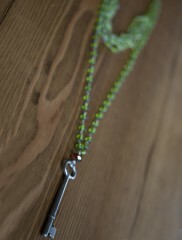 The longer key necklace that goes with it is approx 30″ (plus the length of the key, which varies). 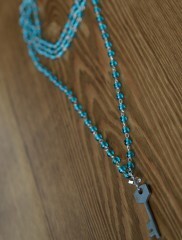 Note: all necklaces can be custom lengthened up to 3 inches longer (21″) or shorter at no charge. 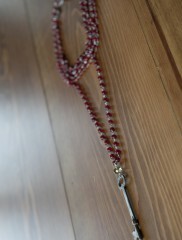 Multi-colored glass beads with base metal wire in between, with an antique key (some date as far back as 1800) as the pendant. 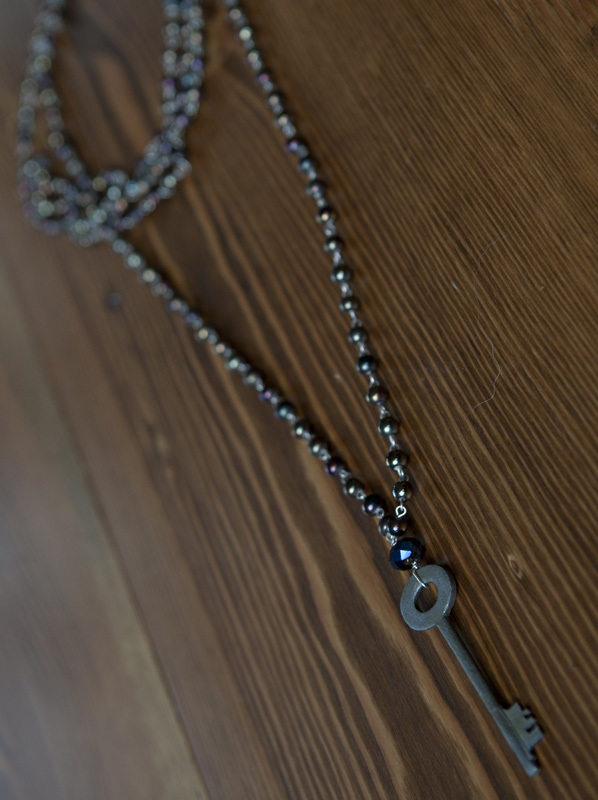 There is a crystal above the key for a little sparkle.